Offer subscriptions and recurring services with automated billing to your customers with Payson Recurring Payments. 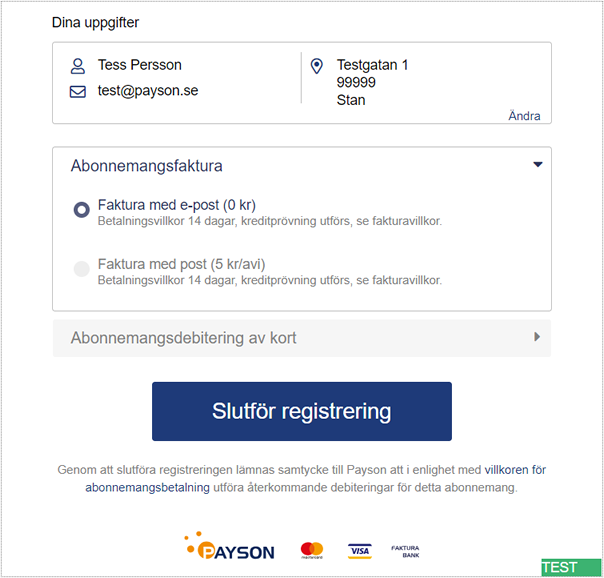 Use the REST API documentation for an integration directly with the Payson Recurring Payments REST API. Payson Recurring Payments library hosted at GitHub. 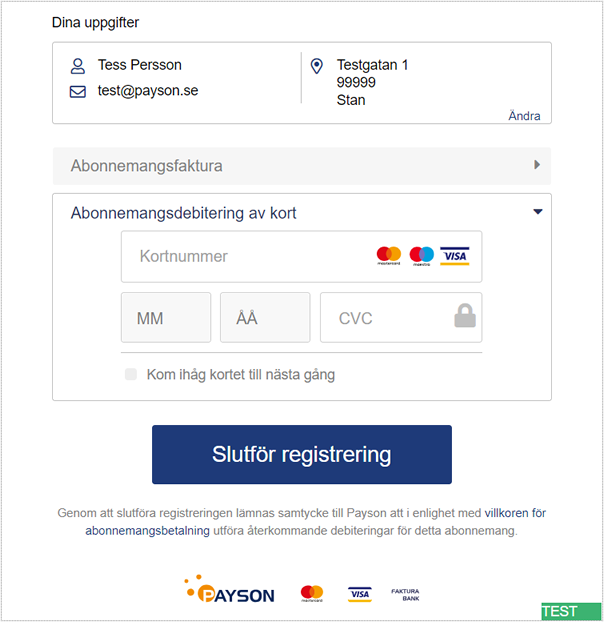 PaysonPayments is a combined library for Payson Recurring Payments and Payson Checkout 2.0. Code examples are included in the example folder. 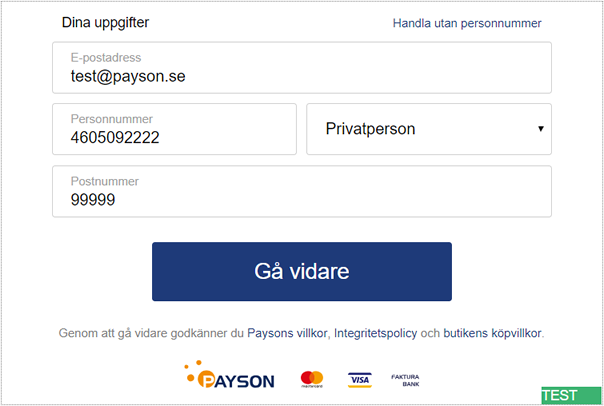 Visit our API Demo Store to test Payson Recurring Payments. The customer starts with a form in which they enter email, social security number (where applicable), and postal code.